Custom built atrium ranch sitting on a fabulous lot backing to the signature hole of Lewis & Clark gold course! Very private lot situated at end of street. Spacious open floor plan with beautiful views and lots of windows. Extra large great room and open dining room for ease of entertaining. Tray ceiling, crown molding, beautiful kitchen with vaulted ceiling, custom cabinets with over top accent lighting, solid surface countertops, breakfast bar, planning desk, and wood floors. Computer nook by main floor laundry. Main floor master suite with his and her closets, luxury bath with jet tub/separate shower, and double sinks. 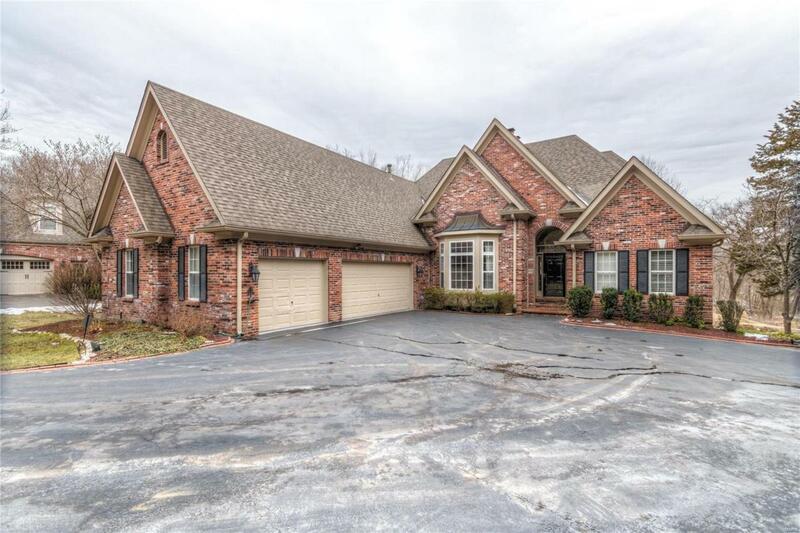 Finished walkout LL with family room, wet bar, full bath and two additional bedrooms. Tint on Atrium windows. Great patios and decking on back over looking course. Zoned HVAC, sprinklers system and garage with epoxy floor and built-ins. Seller have $800,000 in to this home, which makes this a steal!